Affable Nicaragua embraces travelers with offerings of volcanic landscapes, colonial architecture, sensational beaches and pristine forests that range from breathtaking to downright incredible. Lonely Planet Nicaragua is your passport to the most relevant, up-to-date advice on what to see and skip, and what hidden discoveries await you. Kayak through Central America?s largest mangrove forest, experience life on a coffee farm, or chill out on idyllic white-sand beaches; all with your trusted travel companion. Get to the heart of Nicaragua and begin your journey now! 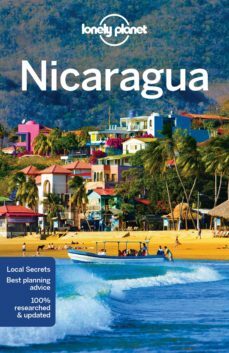 Inside Lonely Planet Nicaragua: ? Color maps and images throughout.? Highlights and itineraries help you tailor your trip to your personal needs and interests.? Insider tips to save time and money and get around like a local, avoiding crowds and trouble spots.? Essential info at your fingertips - hours of operation, phone numbers, websites, transit tips, prices.? Honest reviews for all budgets - eating, sleeping, sight-seeing, going out, shopping, hidden gems that most guidebooks miss.? Cultural insights give you a richer, more rewarding travel experience - history, architecture, land & wildlife, arts, cuisine.? Over 45 maps. Covers: Managua, Masaya, Los Pueblos Blancos, Granada, Southwestern Nicaragua, Leon, Northwestern Nicaragua, Northern Highlands, Caribbean Coast, San Carlos, Islas Solentiname, the Río San Juan and more.